This is a photo essay collection that asks carefully curated questions, from the knee slapping hilarious to family fight inducing, of black men around the country in a post civil rights era. This book challenges stereotypes and illicit empathy of being a black man in this country. Published to coincide with a five-channel video installation touring across the United States, including some notable venues such as The Brooklyn Museum, New York; the Exploratorium, San Francisco, California; the Cleveland Museum of Art, Ohio; Milwaukee Art Museum, Wisconsin; and the Wadsworth Atheneum Museum of Art, Connecticut, Question Bridge: Black Males in America assembles a series of questions posed to black men, by and for other black men, along with the corresponding responses and portraits of the participants. The questions range from the comic to the sublimely philosophical: from "Am I the only one who has problems eating chicken, watermelon and bananas in front of white people?" to "Why is it so difficult for black American men in this culture to be themselves, their essential selves, and remain who they truly are?" The answers tackle the issues that continue to surround black male identity today in a uniquely honest, no-holds-barred manner. While the ostensible subject is black men, the conversation that evolves in these pages is ultimately about the nature of living in a post-Obama, post-Ferguson, post-Voting Rights Act America. 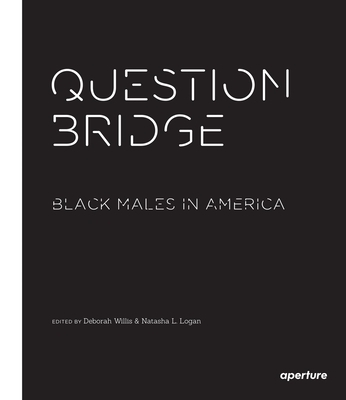 Question Bridge: Black Males in America is about who we are and what we mean to one another. Most critically, it asks: how can we start to dismantle the myths and misconceptions that have evolved around race and gender in America--how can we reset the narrative about ourselves? The project's founding artists, along with contributions from Andrew Young, Jesse Williams, Rashid Shabazz and Delroy Lindo, contextualize the body of the work and provide closing remarks on our current and future social climate.